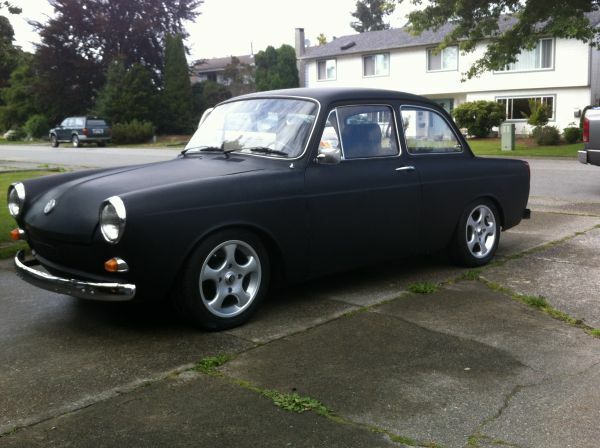 1969 VW Type 3, automatic v1600 dual port lowered new mags and tires. Call Dan 604-314-7483. Although 95% of humanity equates Volkswagen’s existence pre-1974 with the Beetle (the other 5% are intrepid enough to recall the Type 2, or Bus, undoubtedly through a haze of acid trips and marijuana smoke), the reality is that Volkswagen actually offered more than just their tiny rear-engined runabout for public consumption. Like this: the Type 3. More frequently seen in its squareback, station-wagon-esque format, the Volkswagen Type 3 debuted in 1961 as the predecessor to what would become the first generation Passat. Slightly larger than the Beetle and subsequently offering a substantial increase in both passenger and cargo space, the Type 3 retained the famous Volkswagen rear-engined, rear-wheel drive layout made famous by the Beetle, but possessed a larger 1500cc engine (enlarged to 1600cc in ’65) and could be had in four distinct body styles throughout its run, ranging from a small notchback coupé to a flowing sports coupé (better known as a Karmann Ghia here in North America), to squared-off two-door wagon known in the North American market as a squareback, to a flowing fastback coupé body unveiled in 1965. 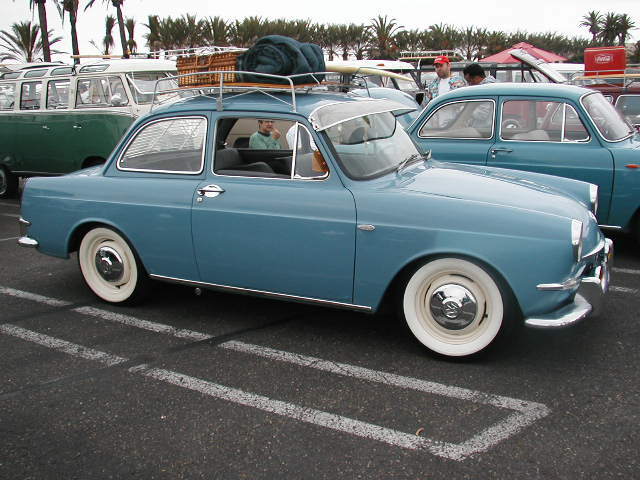 Although relatively popular in Europe, the Type 3 struggled to get a foothold in North America, with the notchback model specifically having trouble finding buyers over its sportier, and more practical siblings. Which is precisely what makes this one so alluring. Having been produced in 1969, this Type 3 is of a particularly good vintage, coming out one year before Volkswagen muddled the design with a refresh in 1970, but after the adoption of the larger 1600cc engine and front disc brakes in ’66. Of course, being a Volkswagen engine, there’s absolutely no shortage of parts and aftermarket supplies available for it, and it’s entirely reasonable to expect the little four cylinder to keep chugging away for years to come. Sadly, bodywork is a different story, and the rarity of the Type 3 notchback will undoubtedly make any future repairs or parts replacements a bit… er… challenging. That said, Volkswagen owners aren’t so much fanatical about the brand quite so much as they worship it as a surrogate religion, so there’s undoubtedly quite a strong support network of individuals that would be happy to keep an automotive oddity like this on the road! Being a Volkswagen, the maintenance and running order of the drivetrain should take a very, very distant second place to ascertaining the solidity of the bodywork, so bring along your best Bondo-tapping knuckle and/or magnet collection before inspecting this little VW. But given the price point, and the crazy following classic Volkswagen’s enjoy, don’t be surprised if this one goes quick. As always, click on the blue text up top to go to the ad and contact the seller.